On behalf of admin of JML Law, A Professional Law Corporation posted in Police Misconduct on Friday, Dec 15 2017. The Los Angeles Police Department asked the U.S. Department of Justice for a staggering $3 million to foot the bill for its community policing initiative in a South L.A. neighborhood marred by violence and homicides. But the DoJ said no, triggering outrage among Los Angeles police officials who hoped to receive federal funding for its ambitious community policing initiative in Harvard Park after reported successes in other areas of the city. Our police misconduct attorneys at JML Law, a reputable Los Angeles-based law firm that has represented thousands of clients in some of the most horrible and violent cases of police brutality and misconduct in the past over 35 years, were surprised to learn that the city didn’t use its own resources to pay for policing in the first place. Why would Los Angeles even ask for federal funding? What does community policing mean anyway? It means hiring more police officers – in Harvard Park’s case, it would be 25 officers – to conduct community policing in one of the city’s deadliest neighborhoods. In community policing, officers learn the names of residents and cooperate with them to make the neighborhood safer. But given the amount of money the Los Angeles Council spends to settle lawsuits related to police misconduct, wrongful convictions, police brutality and other types of misconduct, the city is in hot water for asking for federal funding when, in fact, it has enough money on its own to pay out tremendous amounts of money to settle police misconduct lawsuits. In December 2016, the city council paid out $8 million to end lawsuits related to the fatal shooting of three unarmed men in separate incidents by LAPD officers. The payouts became one of the highest by L.A. for deadly police shootings in the past 10 years. Given the high amount of police misconduct and police brutality lawsuits against LAPD officers, the city typically allocates $60 million per year for the so-called legal liability fund. Fact: between 2002 and 2011, the LAPD spent a whopping more than $100 million to settle lawsuits against police officers accused of wrongful deaths, shootings, police violence and brutality, wrongful convictions and other forms of police misconduct. All funded by taxpayers. The rather outrageous statistics and police misconduct trends within the LAPD beg the question: why wouldn’t the city prioritize spending on police training to prevent police violence and other violations of civil rights instead of having to allocate millions of dollars to settle such lawsuits? Putting even more inadequately trained police officers on the streets of LA to conduct the so-called community policing creates even deadlier risks for civilians, and thus, even more, payouts to settle police misconduct lawsuits. Not to mention that the police fails to get rid of police officers and law enforcement officials terminated for police misconduct for good. 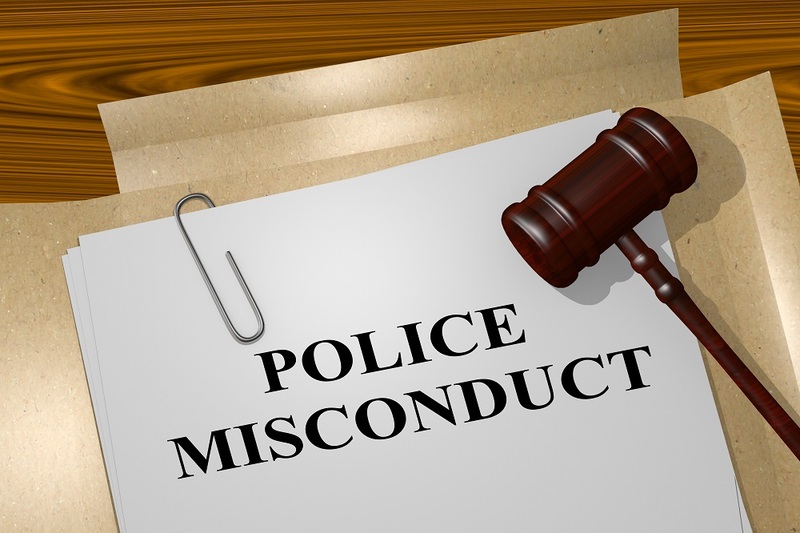 A recent report by The Washington Times revealed that nearly 25% of police officers fired for police misconduct have been reinstated in the past decade. What if the LAPD decides to hire one of those police officers fired for police violence, wrongful deaths and other police misconduct offences to conduct “community policing” in Harvard Park or anywhere else in the L.A.? An outrageous report from earlier this year indicated that Los Angeles would have to borrow up to $70 million to settle its costly lawsuits against grieving families whose loved ones were killed in police brutality, and other victims of police misconduct. At the time of the report, it was projected that the city’s payouts to settle police misconduct settlements would total at least $135 million this fiscal year. And Los Angeles officials think they can’t find $3 million among the city’s vast resources that it chooses to spend on fixing the consequences of its bad policing, rather than preventing them? Consult our Los Angeles police misconduct attorney at JML Law to find out more about your civil rights as a U.S. citizen, and get to know what’s your best strategy to pursue legal action if your civil rights have been violated by police officers. Call our offices at 818-610-8800 or send an email to get a free initial consultation.